Don’t Rebuy, Just Reuse: How to Implement This Money-Saving Mantra Into Your Everyday Life. Ever heard your nan talk about the good ol’ days of thrift? The times when you made good with what you had, rather than waiting in anticipation for the latest new thing? Well, those days are coming back. Or maybe they never left. Either way: don’t rebuy, just reuse. This simple, (semi) catchy slogan, if implemented into your everyday life, can introduce you to a whole new world of creativity and fun - whilst helping you keep your finger firmly pressed on the button of thrift and frugality. Here are three buzzwords to bear in mind when attempting to combat your high-spending habits: Repair, Reuse and Recycle. Repairing is an excellent strategy for saving those pennies because it applies to pretty much anything. Clothes, toys, electronics, kitchen appliances, food… well maybe not food. But you get the picture. We like to say that a fixed thing is a beautiful thing. The ancient Japanese art of kintsugi is a beautiful example of this in action. 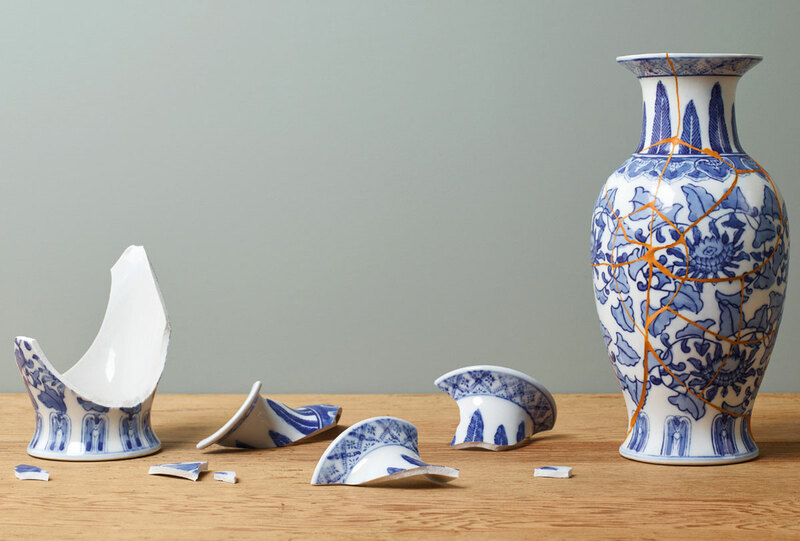 As a philosophy, kintsugi treats breakage and repair as part of the history of an object, rather than something to disguise. Kintsugi was historically done using lacquer, but Sugru is a great substitute. Kintsugi is a fantastic celebration of creativity and a lesson in loving the stuff we own. Plus it saves pennies, which is always good. That horrible day has to occur at some point - the day your headphones finally start calling it quits. This can occur in a variety of annoying ways, but the two most common headphone catastrophes are surprisingly easy to fix. One of the most common Sugru fixes involves gluing the long plastic headphone arch back together after a snappage. Simply blob a small bit in the centre and press, and then add some extra around the side for extra security. Then wait 24 hours and your fixed headphones will be ready to go! Another expensive problem is earphone buds dropping off. 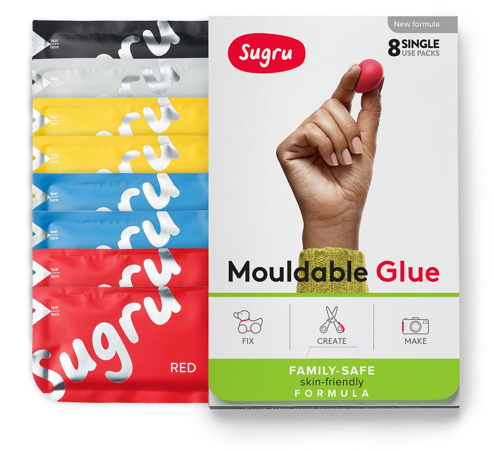 Family Safe | Skin-Friendly Sugru can resolve this too - just mould some around where the ear bud used to be (perhaps to your own personal ear shape) and again wait for the Sugru to cure, but don’t forget to put a hole in it so the sound comes out. A neat how-to tutorial for this can be found here. Reusing is infinitely better than disposing, because disposing creates waste and reusing doesn’t. That’s for both the landfill and your pockets by the way! 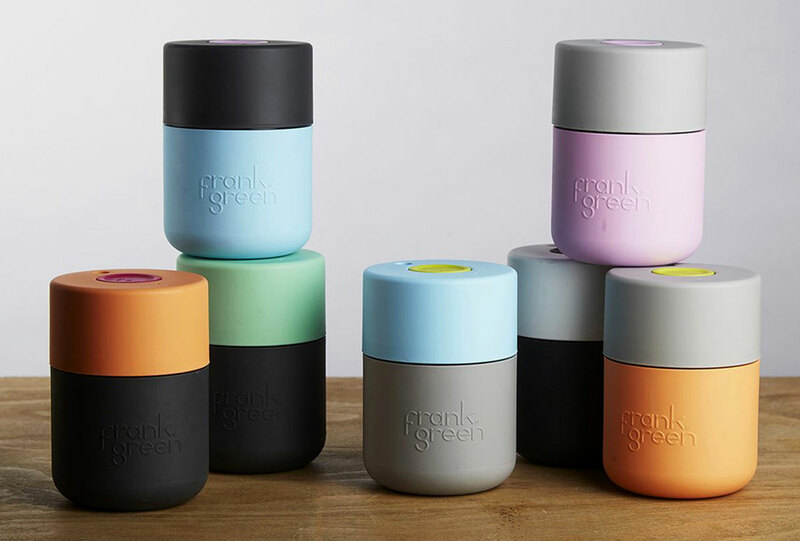 Many high street coffee stores are on a mission to gain some sustainability credentials, by knocking off some of the price of coffee for customers who use reusable mugs. The Starbucks discount is 25p for example. So although buying a travel mug incurs a small upfront cost, the caffeine addicts amongst us are bound to make this up, and then some! We’ve all heard it time and time again: taking a packed lunch to the office is one of the easiest ways to save money. Most reusable lunch bags are cheap, leak-proof and hand washable and will save you a ton on fancy sandwiches in the long run. Not everything can be reused time and time again as it is, but recycling (and particularly upcycling) is probably the most creative (and fun) way to get the stuff you want without buying it! 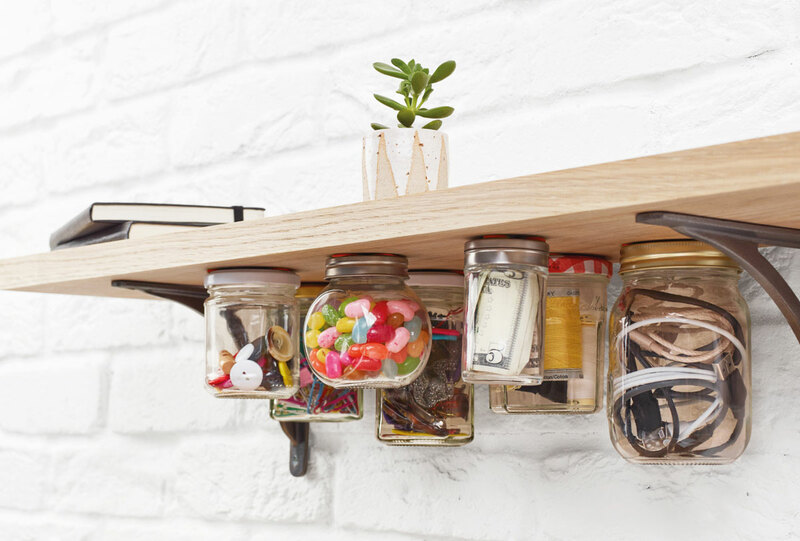 Glass jars are a staple in the home-recycling and home-upcycling economy. They can be washed and then used as: stationary holders, herb pots, bakery equipment, plant pot and our favourite… Jar picture frames! Pots, pans, mugs… the kitchen is a busy place, and kitchen appliances and accessories often don’t come cheap. 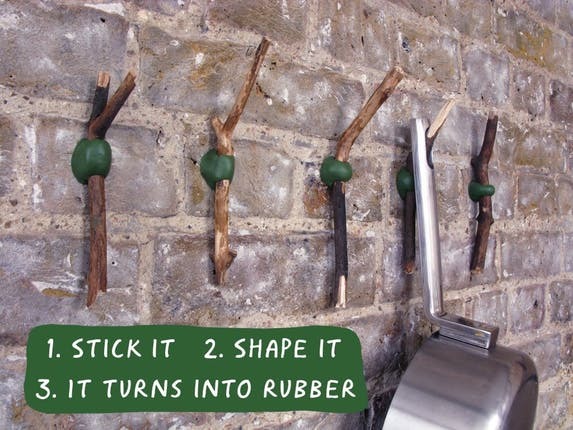 For a rustic upcycling hack, try gathering up some sturdy sticks from the garden and Sugru-ing them to the wall. It’s a great way to use up garden waste. A full guide for this can be found here. Alternatively, if you’ve got kids in the house, grab some of their old toys and Sugru them to the bedroom wardrobe. Here at Sugru we’re firm believers that taking care of things, and making them last, is best for both wallet and planet. That’s why we’re on a mission to get people fixing, mending, crafting, moulding and creating. So if this sounds like something you can get on board with, you might want to head to our #MySugruFix page for ideas and inspiration from our community!